Designed for quick cleaning and durability, The Soft Stretcher is latex-free and made from vinyl material with continuous reinforced nylon straps and features no-slip grip rubberized, pre-molded handles. The Soft Stretcher can carry up to 2,000 pounds. Can be used independantly as well as with the complete system. 71.5” x 16” x 1.75”, occupying minimal storage space. Load Loks provide added security and patient support while stabilizing the backboard to work cohesively with the Soft Stretcher. 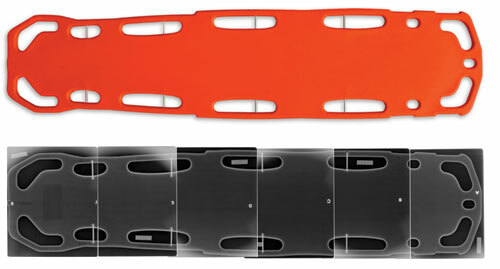 Hook and loop closures secure the Load Loks to the backboard while loop-lok ends easily secure to the Soft Stretcher. 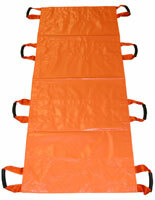 A set of 4 Load Loks come with each Complete Patient Transport System.